Hamilton May offers a brand new, 3-room apartment of 90m2 available for rent with a large terrace of 60m2. Hamilton May offers a brand new, 3-room apartment of 116m2 available for rent with a large terrace of 40m2. Hamilton May presents a large 3 bedroom apartment located in the Apartamenty Ludwinów development directly on the banks of the Vistula River. Hamilton May offers a brand new, 4-room apartment of 132m2 available for rent with a terrace and parking spot in an underground garage. 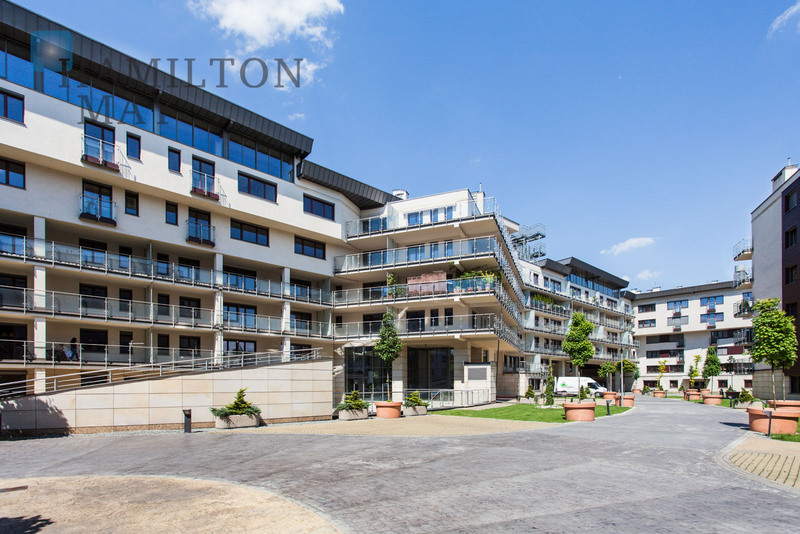 Hamilton May presents a large 2 bedroom apartment located in the Apartamenty Ludwinów development directly on the banks of the Vistula River. Hamilton May presents a spacious, stylishly finished apartment with a sauna available for rent in a prestigious investment on Ludwinowska street in Old Podgórze. Hamilton May would like to present for rent a fully furnished apartment finished in a very good standard located in a fully monitored and new investment in the area of Ludwinów-Stare Podgórze. 'Ludwinow Apartments' is a large residential complex located just on the banks of the Vistula river, close to the city centre. It provides not only great communication with other parts of the city, but also quiet and isolated neighbourhood and proximity of Vistula Boulevards - green recreational areas. Tenants have at their disposal a pool, saunas and fitness rooms. There is also underground parking. The whole complex is secured and integrated are break-in alarm, controled access and CCTV systems. 'Ludwinow Apartments' development is located by Ludwinowska street, just on the banks of VIstula river. In the closest proximity there are Vistula Boulevards, and on the opposite side of the river, Wawel castle. The Old Town and Kazimierz are within 15 minutes walk. The advantage of this location is proximity to Grunwaldzkie roundabout, that provides convenient access to other parts of the city, either by car, or public transport. The development is a perfect choice for people that want to live near the centre, and require space and peace at the same time.